Knowing the accurate temperature in your baitwell, livewell and the waters you are fishing is of extreme importance to freshwater and saltwater fisherman. The GTEMP-10TH from Garmin provides highly sensitive, fast response temperature readings from -13°- 140°F. 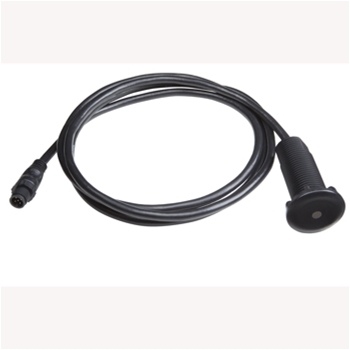 NMEA2000 plug and play connectivity this Temp sensor allows you to name each device location allowing you to have multiple temp sensors on one NMEA network. Easy to install and built to last, the GTTEMP-10 is a top choice for providing accurate temp readings.